If you have a chipped tooth, don’t wait until it goes from bad to worse before you get help. Oftentimes, chipped teeth can remain unnoticed until they start hurting. By the time this happens, you may be facing more intensive procedures to repair chipped teeth or even extract them. 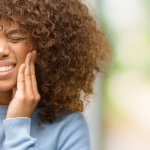 It’s important to address a chipped tooth as soon as you realize what’s happened, because waiting could lead to further damage or even infection. At Penn Dental Medicine, prosthodontists handle restoration and tooth repair issues. A prosthodontist fixes broken, chipped, and missing teeth, using state-of-the-art dental technologies and expert techniques. 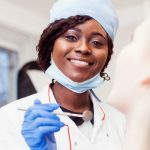 Having completed three extra years of training after dental school, the prosthodontist is one of the most highly-trained and qualified dental specialists in the field. In other words: with a prosthodontist, your chipped or broken tooth is in very good hands! If front teeth need to be repaired due to minor chipping, your dentist will likely use a simple bonding procedure. 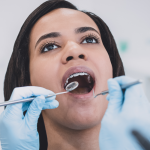 To prepare the tooth, the dentist will etch its surface with a liquid or gel to rough out the area so that an adhesive material can be applied, followed by a tooth colored resin. 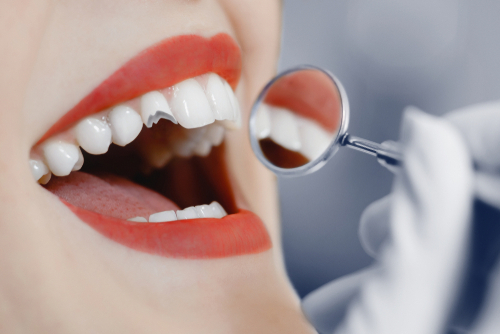 Once the bonding material is shaped, the dentist will use an ultraviolet light to harden the material. A dental crown is needed when a large piece of tooth breaks off or when the tooth has decay. If decay is present, the dentist may file away part of the tooth and cover it with a crown that will protect it and conserve its natural appearance. The dentist will take an impression of the tooth, which is sent to the laboratory for use in fabricating a permanent crown. The dentist will then place a temporary crown to protect the tooth until the permanent one is ready. A permanent crown can be made of porcelain, metal, resin, ceramic, or a combination of porcelain and metal. All-metal crowns are the strongest, while porcelain and resin crowns have the advantage of looking almost identical to the original tooth. A crown that is properly maintained can last for many years. Veneers are made of a very durable material that is placed over the teeth like a cover (they do not wrap around the entire tooth). People choose to get veneers for cosmetic, as well as restorative, purposes because they give your teeth a perfectly symmetrical, white shape. To prepare the teeth, the dentist must remove 0.3-1.2 millimeters of enamel from the surface. An impression of the tooth will be made so that the veneer can be custom-made in a dental laboratory. Once it’s ready, the veneers will be secured to the teeth using a procedure similar to bonding. You can expect your veneers to last 10-15 years with proper care. 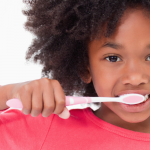 When you’re in a fix and need to see an emergency dentist, Penn Dental Medicine offers timely dental solutions. With the many options available to repair chipped teeth, your prosthodontist at Penn Dental Medicine will provide the perfect treatment for you. To make an appointment with a tooth repair professional, please call our office at 898-215-8965.